There's a fun sidewalk sale in Beacon Hill this Friday and Saturday, so mark your calendar! Koo de Kir, along with other local home design, stationery and fashion retailers, will be participating in the annual Charles Street Sidewalk Sale. Koo de Kir, a terrific Boston design store, will offer lots of goodies, some at more than 75% off of retail. A great chance to shop at over 20 stores from 10-5 on Friday and Saturday. Cash only. All sales final. 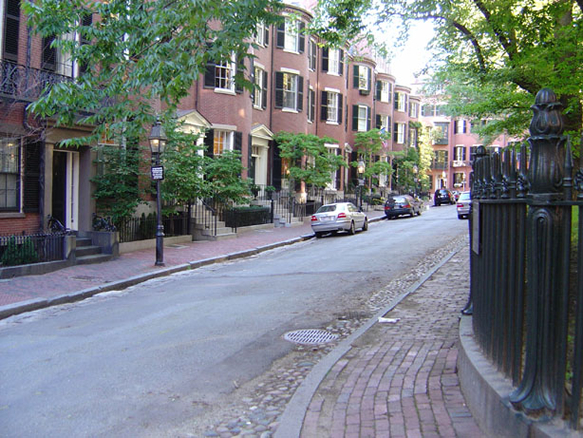 If you're visiting Boston this weekend, and plan to attend this sale, print out this terrific walking tour guide for a walking history lesson about Beacon Hill. Have fun! Vessel - New Squat Worktable Coming Soon!